Space travel can wreak havoc on the body. The price for leaving the surface of the planet and getting to live your life literally off the world is that your physiology has to battle the effects of microgravity and they aren’t exactly pleasant. Most, thankfully, are temporary — and easily reversible within a matter of weeks after returning to Earth. The problem, however, is that as space travel opens up to more and more of the populace, and we as a species venture off to places beyond our own orbit, humans will be spending more and more of their time in space. The toll of space on the body will no longer be as repairable as before. We’ll have to find new ways to to limit the deteriorating effects of space on our frail biology. What exactly are those effects? A new video from Life Noggin details the major ways space travel can cause the human body to fall apart slowly and make life and work aboard a spacecraft more difficult as time passes. Even during your time here on the surface, your bones are slowly broken down by cells called osteoclasts, while another class of cells called osteoblasts work to build your bones back up again. In space, however, you begin to lose bone density. Your osteoblasts don’t spend as much time building up your bones to full strength again — probably because microgravity creates less stress on your body. There is little need for your cells to exert energy and make reinforcements to your bones, because you’re not doing any big physical activity (at least compared to life here on Earth). In a single month, an astronaut can lose as much as one percent of their bone density. This might not mean much in space, but when you bring an astronaut back down to Earth, or land them on another world with a relatively normal degree of gravity, suddenly they are more prone to breaking their bones than ever before. Floating around in microgravity also means your muscles aren’t used as much as they used to be — especially in your back and legs. Your muscle mass strength starts to decrease pretty rapidly. Exercise in space mitigates this, but cannot outright make up and offset the degree of atrophy an astronaut experiences. Your eyeballs can literally flatten in orbit thanks to the microgravity, resulting in impaired vision. The human species has already invented spectacles as a way to compensate, but its still a worrisome trend in space for your eyes to get squished and flatten out more and more as time passes. Yup, even your heart loses mass in space, and can become more spherical and round than it previously was. Microgravity can cause a decrease in blood in the body — meaning less blood is pumping through your heart, causing the very important cardiac organ to soften up and round out. As the heart changes shape, it also causes blood to pump at a decreased pressure, which could lead to dizziness and lethargy up in space. This is especially worrisome for anyone who has conditions like hypertension. Heart becomes round in space. These issues are problematic, but NASA and the rest of the world’s scientists are on the case. 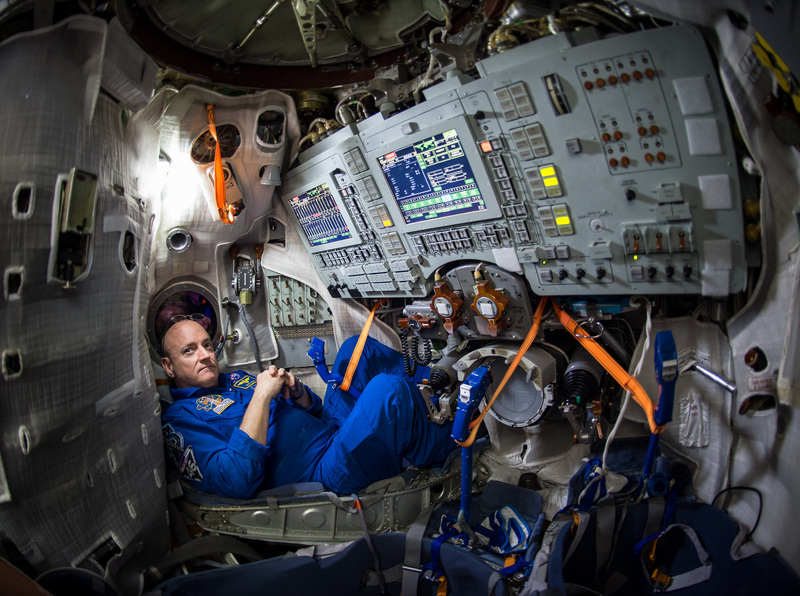 That’s the entire point of astronaut Scott Kelly and cosmonaut Mikhail Kornienko’s ‘Year in Space’ mission — to better understand the effects of long-term duration in space on the human body. Kelly’s participation was especially key, since the existence of his twin brother, astronaut Mark Kelly, means NASA can see if genetic factors play a role in how well some people manage the effects of space on the body. NASA wants to conduct at least five more year-in-space missions to collect much more data. Altogether, there are high hopes we’ll know a lot more about how to keep astronauts safe and healthy when they’re forced to spend perhaps years aboard a spacecraft.